Home / News / 2019 Championship Launched at Stormont! 2019 Championship Launched at Stormont! 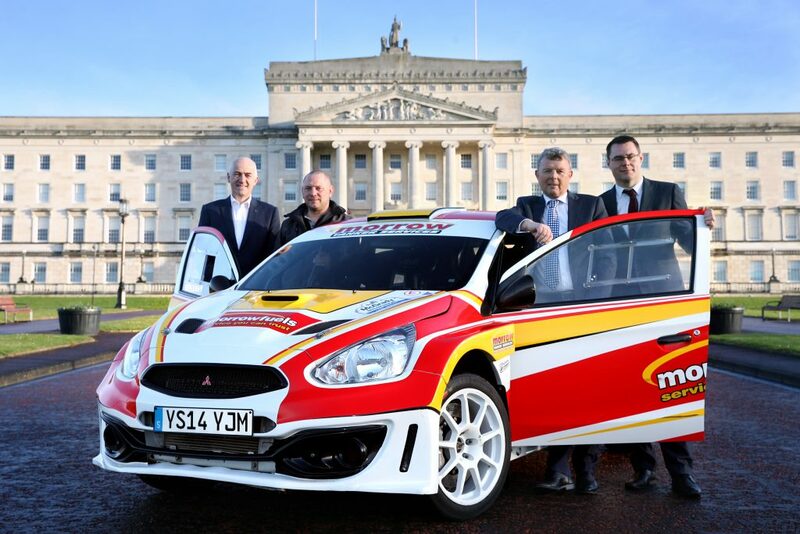 A fire-breathing rally car roared into Belfast’s Stormont Estate on Monday (11 February) where details regarding the 2019 McGrady Insurance Motorsport UK N.I. Rally Championship were revealed! Located outside the iconic Parliament Buildings, organisers and competitors unveiled the 2019 event calendar along with some new developments for the hotly contested series. This year’s championship will feature a total of eight events located across the length and breadth of the province. 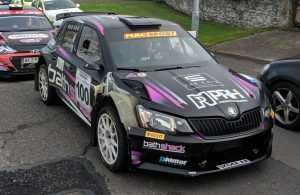 Competitors will start their season at County Down’s Kirkistown and Bishopscourt race circuit venues in February and March before going on to tackle closed road events and all-gravel forestry rallies across the country in a bid to secure the prestigious N.I. Rally Championship title. Morrow is among a host of competitors who have already confirmed their intentions to battle for the N.I. crown. 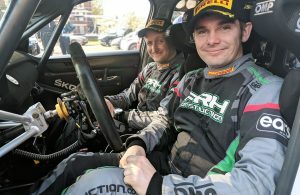 They include reigning champion, Derek McGarrity, who has vowed to bid for a record-making ninth title with his potent Ford Focus World Rally Car. Championship organisers have made some changes for the 2019 series. In addition to introducing an extra rally to the calendar, which has increased the number of events from seven to eight, the points scoring system has changed too. There are some changes to the championship’s class structures too. Class nine is now regarded as an ‘open’ class for most four-wheel drive vehicles – with the exception of those eligible for Group N, the historic category as well as class eight’s R5 and S2000 crews – while a new Formula 1000 class has been introduced to provide an outlet for cars complying with the sport’s Junior 1000 specifications. The season gets underway on Saturday 23 February at Kirkistown Race Circuit with the Pacenotes Rally Magazine Stages Rally. The North Armagh Motor Club event is the traditional season-opener and will feature six special stages based within the confines of the popular venue. 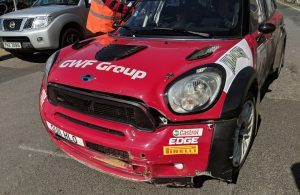 Then crews will head to Bishopscourt Race Circuit in March before venturing into other parts of the country between now and the season-closing Glens of Antrim Rally in November. All of the latest championship news, including reports and other important updates, will be posted online during each round of the championship and throughout the year at nirallychampionship.com. Fans will also be able to follow the series through various social media channels including Facebook and Twitter. *Thanks to Stormont Estate Management Unit for permission to use the venue. ← Previous Story Pacenotes Rally Magazine Stages (round one) regs released! Next Story → Competitors Gear Up for Pacenotes Rally Magazine Stages at Kirkistown!